Debate: Who should take responsibility for speeding up play? Posted October 14th, 2014 by TheGolfersClub & filed under Blog. What can we do to speed up play, and who should be tackling the issue? It’s not easy for the modern golfer, but we all have a responsibility, says National Club Golfer editor Dan Murphy. “I’m going to start by standing up a little for the much-maligned modern golfer, as he usually comes in for a good kicking in this debate. Courses are so much longer these days. And in the old days, tees were just arbitrary areas beside the green, so as soon as you walked off one hole you started the next. Now you might have to go hundreds of yards. It means that you’re walking much further than before, so no wonder it takes longer to complete a round. That said, there are things all golfers can do to help speed things up. What annoys me is not being ready to play when it’s your turn. It drives me mad when players are half asleep and begin their tedious pre-shot routines only when it is on them. People playing hockey around the hole certainly doesn’t help speed up play, and it is infuriating to see golfers leaving their bags on the wrong side of the green or even marking cards on the putting surface. The biggest problem is that for many golfers, slow play is always someone else’s fault and not something they are guilty of. We all need to raise our game. The difference golfers can make is minimal, so clubs should do more, says National Club Golfer staff writer James Tompkinson. “There is no denying that there are things all golfers can do to help speed the game up, but I think the gains that can be made through small time-saving exercises are minimal. The amount of time it takes to play golf is a huge problem within the game across the world, and therefore it needs a solution that extends well beyond the weekly Saturday medal. As a higher-handicap player, it takes me longer to complete a hole than it would a scratch player, but that does not mean I’m playing slowly. Too often I think the two are linked and it shouldn’t be that way. In reality, the most that any player could shave off an 18-hole round is 20 minutes, possibly pulling a four-hour round down to three hours 40 minutes. For most people, those 20 minutes are not the dividing line between playing golf and doing something else with their leisure time. I think there are a lot of clubs who use the slow play issue to mask a bigger problem. 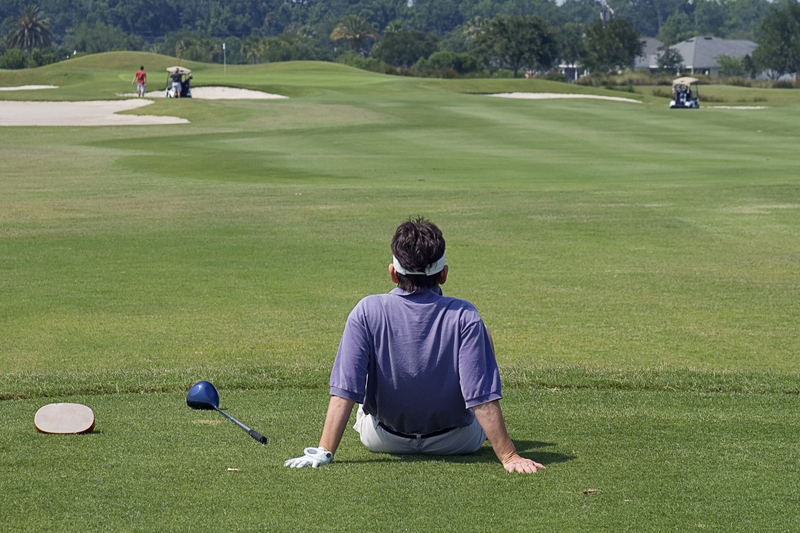 We all know that golf takes a long time to play, but for many people that is also part of its charm. If more clubs offered nine-hole competitions, 12-hole pay-and-play options for visitors or weekend and evening memberships, then it would be easier for people to fit the game around their existing lifestyle.